11. (1) An EEA national must be admitted to the United Kingdom if he produces on arrival a valid national identity card or passport issued by an EEA State. (ii)an EEA family permit, a residence card, a derivative residence card or a permanent residence card. (3) An immigration officer must not place a stamp in the passport of a person admitted to the United Kingdom under this regulation who is not an EEA national if the person produces a residence card, a derivative residence card, a permanent residence card or a qualifying EEA State residence card. (c)a family member who has retained the right of residence or a person with a permanent right of residence under regulation 15. (e)P is accompanying a British citizen to, or joining a British citizen in, the United Kingdom and P would be entitled to reside in the United Kingdom pursuant to regulation 15A(4A) were P and the British citizen both in the United Kingdom. (b)if P were in the United Kingdom, P would have a derived right of residence by virtue of regulation 15A(?)(b)(ii). (b)has previously resided in the United Kingdom pursuant to regulation 15A(2), (4) or (4A) as a joint primary carer and seeks admission to the United Kingdom in order to reside there again on the same basis. (8) But this regulation is subject to regulations 19(1), (1A), (1AB) and (2). (b)the family member will be accompanying the EEA national to the United Kingdom or joining the EEA national there. (b)will (save in the case of a person who would be entitled to be admitted to the United Kingdom by virtue of regulation 11(5)(a)) be accompanying to, or joining in, the United Kingdom any person from whom his right to be admitted to the United Kingdom under regulation 11(5) will be derived. (1B) An entry clearance officer must issue an EEA family permit to a family member who has retained the right of residence. (c)in all the circumstances, it appears to the entry clearance officer appropriate to issue the EEA family permit. (3) Where an entry clearance officer receives an application under paragraph (2) he shall undertake an extensive examination of the personal circumstances of the applicant and if he refuses the application shall give reasons justifying the refusal unless this is contrary to the interests of national security. (5) But an EEA family permit shall not be issued under this regulation if the applicant or the EEA national concerned is not entitled to be admitted to the United Kingdom as a result of regulation 19(1A) or (1AB) or falls to be excluded in accordance with regulation 19(1B) falls to be excluded from the United Kingdom on grounds of public policy, public security or public health in accordance with regulation 21. (6) An EEA family permit will not be issued under this regulation to a person (“A”) who is the spouse, civil partner or durable partner of a person (“B”) where a spouse, civil partner or durable partner of A or B holds a valid EEA family permit. (1) An EEA national is entitled to reside in the United Kingdom for a period not exceeding three months beginning on the date on which he is admitted to the United Kingdom provided that he holds a valid national identity card or passport issued by an EEA State. (2) A family member of an EEA national or a family member who has retained the right of residence who is residing in the United Kingdom under paragraph (1) who is not himself an EEA national is entitled to reside in the United Kingdom provided that he holds a valid passport. (3) An EEA national or his family member who becomes an unreasonable burden on the social assistance system of the United Kingdom will cease to have a right to reside under this regulation. (4) A person who otherwise satisfies the criteria in this regulation will not be entitled to reside in the United Kingdom under this regulation where the Secretary of State has made a decision under regulation 19(3)(b), 20(1) or 20A(1). (1) A qualified person is entitled to reside in the United Kingdom for so long as he remains a qualified person. (2) A family member of a qualified person residing in the United Kingdom under paragraph (1) or of an EEA national with a permanent right of residence under regulation 15 is entitled to reside in the United Kingdom for so long as he remains the family member of the qualified person or EEA national. (3) A family member who has retained the right of residence is entitled to reside in the United Kingdom for so long as he remains a family member who has retained the right of residence. (4) A right to reside under this regulation is in addition to any right a person may have to reside in the United Kingdom under regulation 13 or 15. (5) A person who otherwise satisfies the criteria in this regulation will not be entitled to a right to reside in the United Kingdom under this regulation where the Secretary of State has made a decision under regulation 19(3)(b), 20(1) or 20A(1). (1A) Residence in the United Kingdom as a result of a derivative right of residence does not constitute residence for the purpose of this regulation. (3) A person who satisfies the criteria in this regulation will not be entitled to a permanent right to reside in the United Kingdom where the Secretary of State has made a decision under regulation 19(3)(b), 20(1) or 20A(1). 15A. 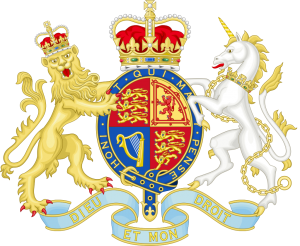 (1) A person (“P”) who is not an exempt person and who satisfies the criteria in paragraph (2), (3), (4), (4A) or (5) of this regulation is entitled to a derivative right to reside in the United Kingdom for as long as P satisfies the relevant criteria. (iii)would be unable to remain in the United Kingdom if P were required to leave. (c)P is in education in the United Kingdom and was in education there at a time when the EEA national parent was in the United Kingdom. (b)the relevant person would be unable to continue to be educated in the United Kingdom if P were required to leave. (c)the relevant British citizen would be unable to reside in the UK or in another EEA State if P were required to leave. (d)requiring P to leave the United Kingdom would prevent P’s primary carer from residing in the United Kingdom. (iv)who has indefinite leave to enter or remain in the United Kingdom. (ii)shares equally the responsibility for that person’s care with one other person who is not an exempt person. (7A) Where P is to be regarded as a primary carer of another person by virtue of paragraph (2)(b)(ii) the criteria in paragraphs (2)(b)(iii), (4)(b) and (4A)(c) shall be considered on the basis that both P and the person with whom care responsibility is shared would be required to leave the United Kingdom. (7B) Paragraph (?A) does not apply if the person with whom care responsibility is shared acquired a derivative right to reside in the United Kingdom as a result of this regulation prior to P assuming equal care responsibility. (8) P will not be regarded as having responsibility for a person’s care for the purpose of paragraph (7) on the sole basis of a financial contribution towards that person’s care. (9) A person who otherwise satisfies the criteria in paragraph (2), (3), (4), (4A) or (5) will not be entitled to a derivative right to reside in the United Kingdom where the Secretary of State has made a decision under regulation 19(3)(b), 20(1) or 20A(1). 15B. (1) This regulation applies during any period in which, but for the effect of regulation 13(4), 14(5), 15(3) or 15A(9), a person (“P”) who is in the United Kingdom would be entitled to reside here pursuant to these Regulations. (b) an appeal under regulation 26 against a relevant decision, brought while P is in the United Kingdom, is pending. (b) an appeal against a relevant decision is allowed and that appeal is finally determined. (5) A “relevant decision” for the purpose of this regulation means a decision pursuant to regulation 19(3)(b), 20(1) or 20A(1) which would, but for the effect of paragraph (2), prevent P from residing in the United Kingdom pursuant to these Regulations. (6) This regulation does not affect the ability of the Secretary of State to give directions for P’s removal while an appeal is pending or before it is finally determined. (7) In this regulation, “pending” and “finally determined” have the meanings given in section 104 of the 2002 Act.